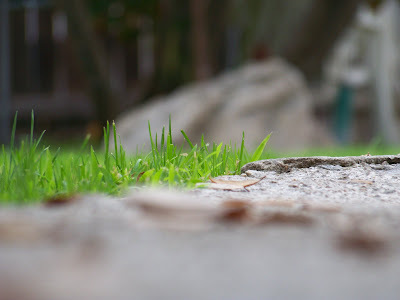 Backyard grass halted by concrete. That's so cool. I love the contrast of the bright green against the harsh tone of the concrete. I absolutely love this shot Rupe!!! nice! if you know me, you know i am a sucker for the bugs-eye pov! and fun to see grass!